You'd think a Venom movie starring Oscar nominee Tom Hardy in the lead role would have a little more hype and excitement around it right now, especially considering the fact that it hits theaters next year. But that honestly hasn't been the case, as fans are still too concerned about whether Sony will finally do the character justice this time around. While having Hardy in the lead role along with an extremely stellar supporting cast and Zombieland director Ruben Fleischer should be enough, the simple fact that Spider-Man might have nothing to do with this movie is enough to worry fans like myself. Well at least we have a little more information on what the story of the movie will be now, and its sure to excite some Venom comic book fans out there. We also might finally know who Riz Ahmed is playing in the movie, and its a character who was key to the storyline. 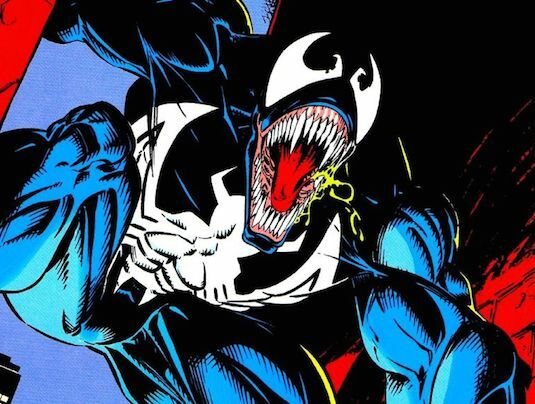 The confirmation that the film will be adapting Venom: Lethal Protector came courtesy of Hardy himself, who explained it during a video message for fans at Comic-Con in Sao Paolo. This storyline was published by Marvel in 1993, and focused on Venom becoming an anti-hero of sorts of coming to a truce with Spider-Man. Eddie Brock movies to San Francisco (Which Hardy confirmed will also be the location of the film), and then saw the Life Foundation hunting down Venom in hopes to study his symbiote. 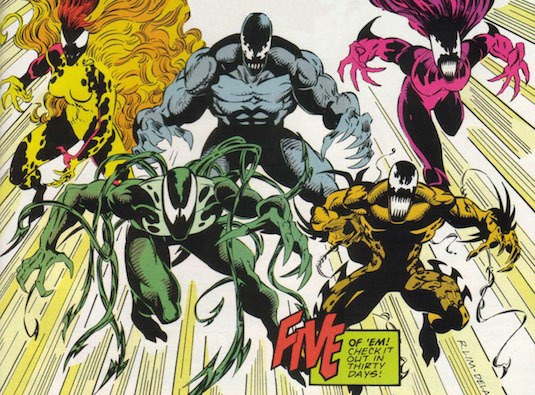 The organization ends up making their own team of spawns of the symbiote including Agony, Phage, Riot, Lasher, and Scream that Venom must take on himself. The story line may seem like a random strange choice, but it actually seems very smart. We'll be getting a more heroic Venom we can root for, who will still presumably be a violent killer. It also easily explains the absence of Spider-Man who most likely won't even be mentioned in this movie, as Venom is relocated to a different city taking on villains specific to him. 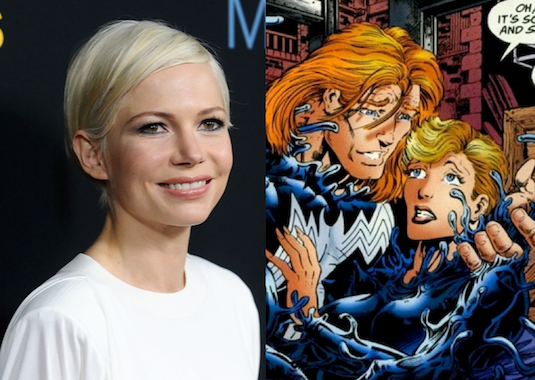 Michelle Williams will apparently be playing Brock's love interest who Ann Weying (Which she confirmed in an interview with Screen Rant) who eventually becomes She-Venom in the comics, but probably won't reach that form in this movie. So how do you feel about Venom adapting the Lethal Protector storyline? Are you happy with the route they are taking the character in? Let us know below!